Eager to become a Good Muslim? Teacher Aisha Vicky Koolen started her journey as a new Muslim in 1999. From that time onwards she read any book she could find to learn about her new religion Islam. Her desire to change for the better with the teachings of the Quran and the sunnah was unquenchable. There was so much to change in lifestyle and Allah speaking to her through the Quran and the hadith of the prophet Muhammad sallahu alayhi wa sallam made her research more to find out her main question: How to become a good Muslim? Was this TOO MUCH to desire? Verily, among the best of you are those with the best character. requires that you learn and work on good manners every day. Her quest was right, but not easy! While learning and trying to apply the teachings of the Quran and sunnah, she noticed in daily life among the Muslims that there was a huge gap between the teachings of the Deen and people’s behaviour. At times the rift between the treasure of the teachings of Islam and the actions of adults and children was too wide. How could this distance be closed? Aisha knew that her students/children needed a more intensive and consistent program to support them in acquiring the knowledge and skills to learn to behave and interact positively. She wanted her children and students to be able to look after themselves mentally and emotionally and after others too. She especially wished that they would get to know Allah better! Aisha wanted to nurture a positive, upright and strong character. She wanted her children and students to succeed academically, emotionally and socially! It took years and lots of effort to find suitable books and resources to help her teach character day in day out. It was a struggle to find the right materials to establish consistent growth. 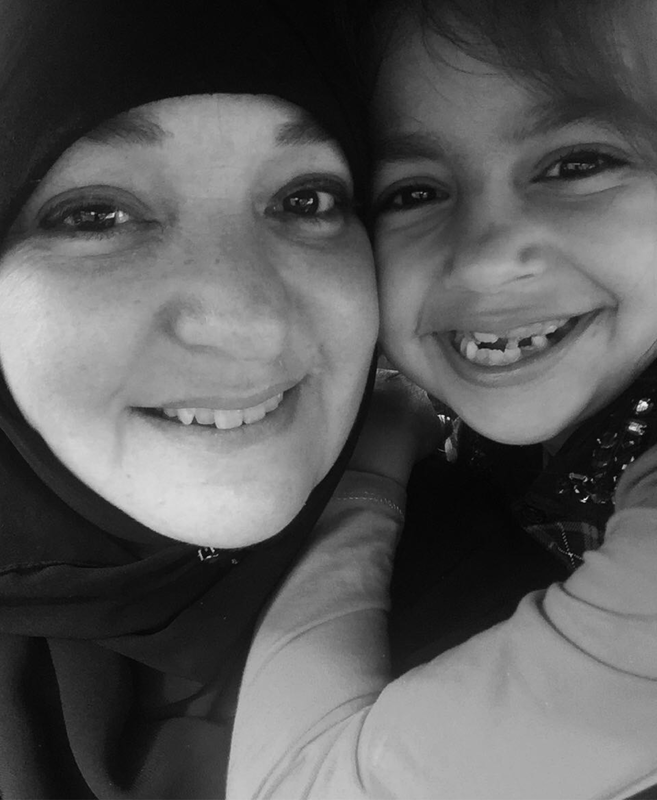 Over the years after much research, teaching, Aisha found it was time to develop a course that builds character systematically and which was easy to use at home or in the classroom. A course with the 99 Names of Allah at the heart of it! The course offers weekly lesson units with all the tools to introduce a name of Allah, learn and memorise the name and explore the virtues derived from it. Yes, 99 weekly character lesson units for you! You will have access to fun materials to start the wonderful journey of exploring the Divine 99 Names of Allah with children/students, along with teaching your children/students. You will be yourself inspired with the parent/teacher guide to connect and reflect too with each name. This will energise your teaching even more! 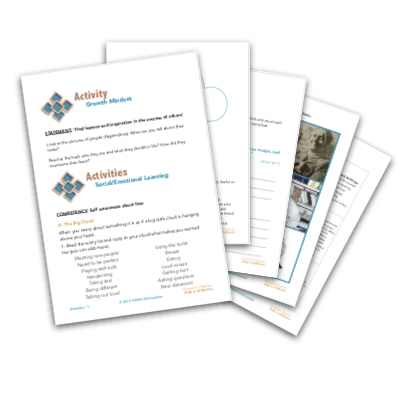 The children resources are suitable for age group 7-11 years old. Wouldn’t it be great to help your children/students build their knowledge about Allah and His attributes? They will naturally learn to start to call upon Allah with help of His Names as instructed by Allah Himself in the Quran! While working with ‘Character Builders’ you will notice that the course will start to change you and affect those around you positively, because ‘Character builders’ is right in the middle of your daily life! It makes connections that are meaningful. For sure this course has the potential to be for you a tool for life changing results! ‘Character builders’ teaches and trains the theory of growth mindset. This course will help teachers develop a positive attitude in children by teaching them the elements of growth mindset. The empowering techniques will help them develop constructive and positive thinking skills as well as build self esteem and a motivation to work for something. 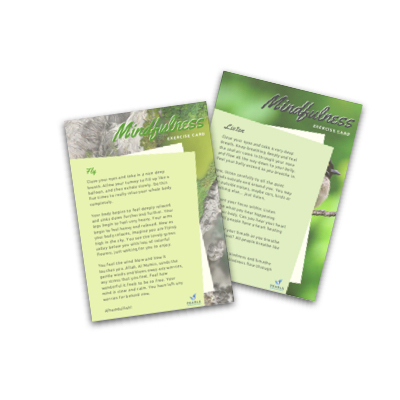 Growth mindset skills are connected with the Names of Allah, stories of the prophet Muhammad sallahu alayhi wa sallam, the sahabah, scholars and every day stories taken from the lives of children. Growth mindset skills will be introduced and trained to empower your children/students to deal with challenges and to keep striving with positivity and energy of mind and body. Your children/students will build their social-emotional intelligence by doing the activities, listening to and discussing the moral of the stories and use the social stories to gain the right skills they need to build true character. Thanks to engaging videos and journaling, character building will be a joyful and meaningful journey with many connections to their own struggles and challenges. to infuse your lives with the divine beauty of the Names of Allah? One of the most critical skills to learn in life is the ability to learn from life. There are numerous types of activities which learners can conduct to reach their learning objectives -- arguably the best activity is life itself. And one powerful and highly accessible method to do so is ongoing journaling. 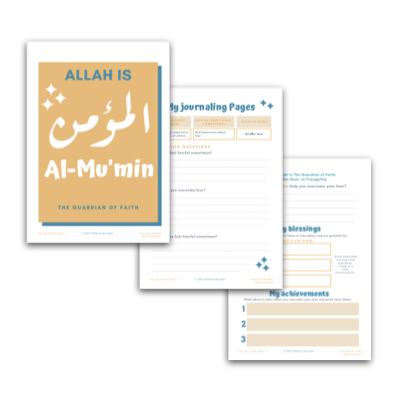 Journaling pages offer your child/student a consistent input to work weekly on reflecting on their journey of learning Allah’s Names, attributes and how this translates to their daily life. A journaling page will help your child/student to write and reflect upon how the virtue and character strength is implemented and how to act upon the name of Allah. They will grasp that developing good character requires that you learn and work on good manners every day and that Allah’s Divine Names are guiding us to become strong Muslims. Mindfulness helps with understanding yourself, your thoughts, and your reactions, and to have a more open and engaging experience with life. Through mindfulness you create awareness of how your default thoughts and reactions run your mind and behaviors, and instead you learn to choose how you want to be. How to drop into state of calmness whenever you need to. It helps with defusing negative spiral of stress. with your children/students to become one of the best? In order to be able to access the content ANYTIME, ANYWHERE, be sure to commit to the full period for part I (6 months). What will I get for the monthly fee? You will be able to access 4 units that will be released each week. 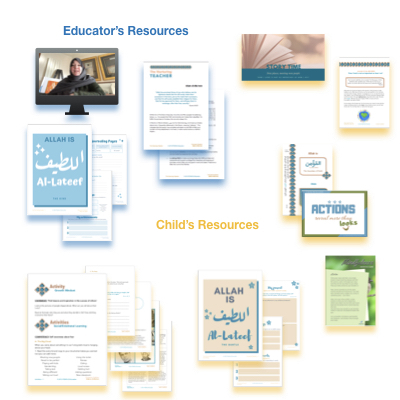 All units contain resources for Educators & Students (7-11 years old) including videos, audios, journaling pages, activities, posters and more. What happens if I stop my subscription before the 6 months? You will loose access to all content. Be sure to pay up to the 6th month to get life-time access to ALL content or download all accessible materials before ending your subscription. This course will save you time, energy and money. All resources are carefully designed to ensure a meaningful experience to both educators and children with easy and ready to use materials. It's not just a course to learn about the Names of Allah, it's a course to put them into action and integrate them in your everyday life and your child's everyday life while building character.